In this week's new releases Pixar's Incredibles 2 arrives on disc in the UK, alongside a handful of new anime releases and a complete set of the 90's favourite Rocko's Modern Life. 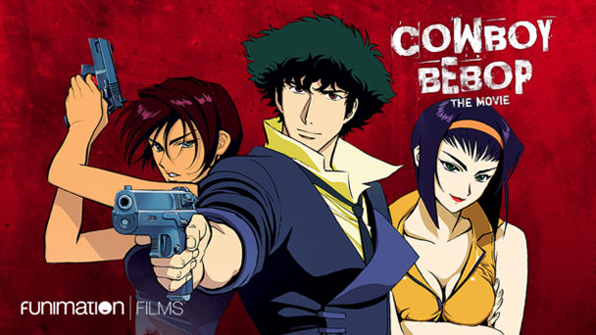 Meanwhile, the US gets some anime of its own, including a nifty steelbook edition of the Cowboy Bebop movie, as well as new shorts collections from Disney and Pixar. Anyone with an interest in early animation will be pleased to see a release for Lotte Reiniger's 1926 classic The Adventures Of Prince Achmed from Milestone Entertainment. American Dad Volume 13 (20th Century Fox, 15) Seth McFarlane sitcom. Dragon Ball Z KAI: Final Chapters Part 2 (Manga Entertainment, 12) Episodes 122-144 of the remastered and remixed version of the original Dragon Ball Z saga. Granblue Fantasy Part 1 (MVM, 12) Anime fantasy series. Grimoire Of Zero Collector's Edition (MVM, 15) Fantasy anime. Gundam: Reconguista in G (Anime Limited, PG) Yet another chapter in the legendary giant robot saga. Incredibles 2 (Disney, PG) Brad Bird's long-awaited super sequel. The Incredibles/ Incredibles 2 (Disney, PG) Collecting the classic film and its 2018 sequel. Rocko's Modern Life Seasons 1-2 (Paramount, 12) The full 90's Nickelodeon series starring the tribulations of the hapless wallaby. And You Thought There Is Never A Girl Online? 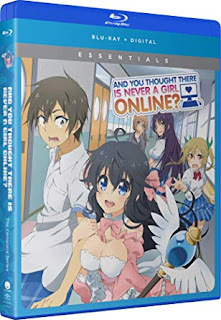 * (Funimation) Video game world inspired anime romantic comedy. Joker Game: The Complete Series* (Funimation) Spy drama. Justice League: Throne of Atlantis Commemorative Edition* (Warner Bros, PG-13) DC Universe Animated movie. Olaf's Frozen Adventure: Plus 6 Disney Tales (Disney, G) Frozen short plus additional material. Pixar Shorts Collection Volume 3 (Disney, G) The latest batch of Pixar short films. Sailor Moon Super S: Season 4 Part 2 (Viz Pictures, TV-14) More advantures with Sailor Moon and the Sailor Scouts. Twin Star Exorcists Part Three (Funimation) Supernatural anime.